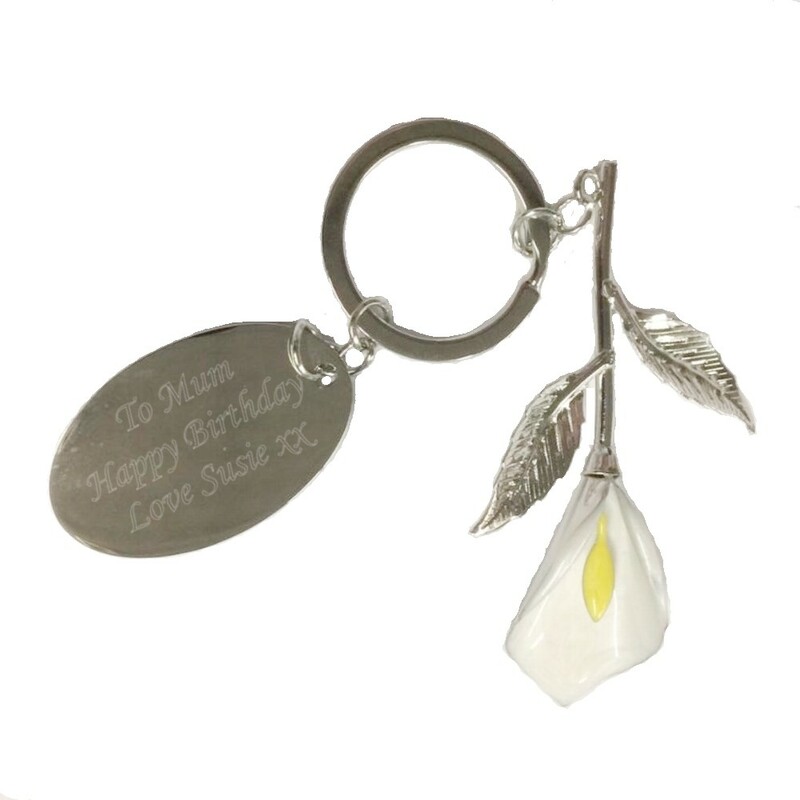 Personalised Engraved Silver Plated Calla Lily Keyring. Personalise this unique keepsake with your text on the silver plated heart tag. All your engraving goes on the front of the tag. The lily is silver plated with a painted white lily bud. The lily measures 65mm and the heart pendant measures 30mm x 30mm.